A driving force in the digital economy, MLive Media Group is an audience-first venture encompassing content, sales and marketing professionals who preserve the strength of our newspaper heritage while pursuing innovation in the digital space. 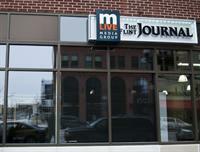 At MLive Media Group, we make each other better. We nurture relationships. We grow businesses by creating actual marketing solutions for our client partners, rather than just selling them products. You are never putting your investment in one person, but into the team of people behind them. A team that is encouraged to challenge themselves to exceed expectations, to ask the right questions, and to find creative solutions. Whether it’s our team members or our customers, our approach is consistent and our solutions are customized. We bring together our internal team of experts to create a strategy to fulfill your goals, long-term vision and fundamental values. Offering this to our clients is what makes us a [TRUE] marketing partner. Why are we doing it this way? We are MLive Media Group. Our Michigan brands include MLive.com(which is the largest newspaper website in Michigan), The Grand Rapids Press, The Muskegon Chronicle, Kalamazoo Gazette, The Jackson Citizen Patriot, The Ann Arbor News, The Flint Journal, The Saginaw News and The Bay City Times. MLive Media Group provides innovative ways to inform, connect and empower Michigan. Collaboration + Strategy = a [TRUE] marketing partner.